A series of shifts are happening in our economy: A record number of millennials are trading in conventional career paths to launch tech start-ups, start small businesses that are rooted in local communities, or freelance their expertise. We are sharing everything from bikes and cars to extra rooms in our homes. 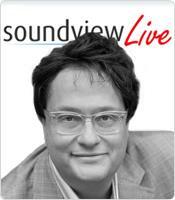 In this Soundview live webinar, The Purpose Economy, globally recognized entrepreneur and founder of Taproot Foundation, Aaron Hurst argues that while these developments seem unrelated at first, taken together they reveal a powerful pattern that points to purpose as the new driver of the American economy. 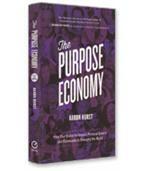 Like the information economy, which has driven innovation and economic growth until now, Hurst argues that this new economic era is driven by connecting people to their purpose, “It’s an economy where value lies in establishing purpose for employees and customers—through serving needs greater than their own, enabling personal growth and building community. How the Information Economy emerged and what it tells us about what is next. What researchers in the last decade uncovered about what really creates purpose at work and how any job can generate purpose. What the keys are to building and growing a successful organization in this new economy. What electric cars, organic food and pro bono service have in common.